Our misadventures in DayZ, God help us all, with new episodes every Tuesday. This page features the ten most recent episodes. For earlier episodes, please visit the Archives. Episode 31 of FunZ, where Arveene and Izumo deal with the aftermath of having their car kamikazed, and decide to venture out to the Northwest Airfield. Episode 30 of FunZ, where Arveene, Izumo, and Skyy continue to take the clown car around the map, they try to decide which ethnic group they want to be, and they encounter the worst pilot ever in this game. Episode 29 of FunZ, where we find the most insane looking car of all time, and Skyy just can't stop getting infected. Episode 28 of FunZ, where the invisible hand of fate gives us another person to hunt down right as we're about to log off, and Dan and Skyy learn why it's important to verify kills. Episode 27 of FunZ, where Arveene has a run in with a helicopter, and we face our most dangerous adversaries in this game. 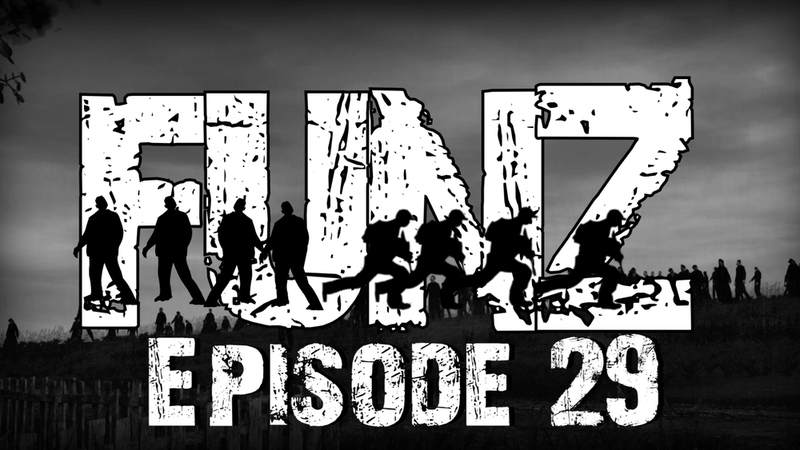 Episode 26 of FunZ, where Dan reclaims his gear after his embarrassing swan dive, we have a shootout in the Cherno Firehall, and Arveene gets the crap scared out of him. Episode 25 of FunZ, where we find out how much zombies like coming to school, and we kill a defenseless player in the worst way possible. Episode 24 of FunZ, where we attempt to not ruin our brand new Jeep, and alot of people die in Electro. Part 2 of Episode 23, where we finally start finding some downed helicopters, and find all kinds fun stuff at the Northwest Airfield. Episode 23 of FunZ, where Arveene finds a helicopter to fly, we attempt to find some downed helicopters, and we start blowing up vehicles for the fun of it.